While designed as a compliment to the Limbguard™ protector, the Limbsleeve™ may also be used independently over surgical dressings. Say good-bye to buckles and holes. The new Limbsleeve™ offers simple, adjustable Velcro straps. 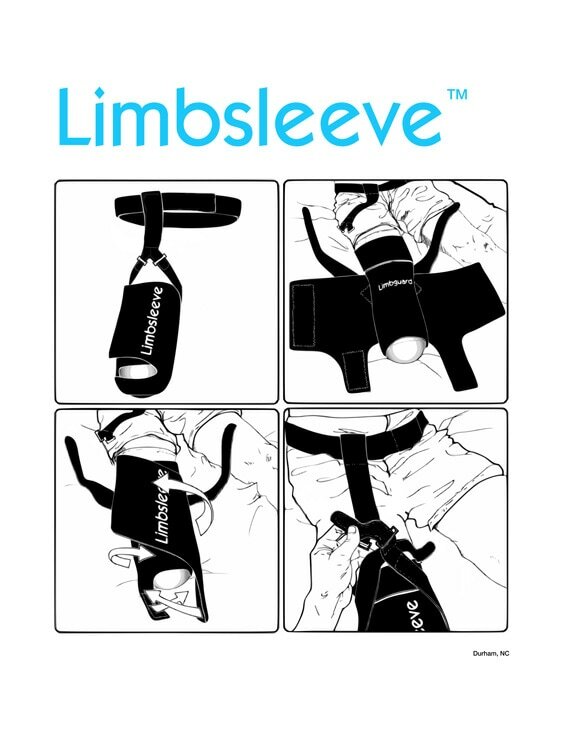 Limbsleeve™ is a one-size-fits-all neoprene suspension sleeve with a Velcro enclosure.